Under the curve of a Digbeth tunnel on March 11th, a few short days after International Woman’s Day, Birmingham saw a whole new meaning to the abbreviation PMT. Normally short for a certain type of stress a woman feels during a certain time of the month, team members at IMPACT HUB brought us a day-long festival under the name ‘Powering the Matriarchy Together’. First and foremost if you are not aware of IMPACT HUB, we’ll start with some locational info; opened in December 2014 in The Walker Building on Oxford Street, the hub is one piece of a global network dedicated to creating positive changes for our current and future generations. In a venue that see’s collaborative projects of which PMT Festival is a classic example, one of pure intention and genuine spirit. Inspired by the disappointing fact that there was nothing actually happening in Brum for International Woman’s Day, Hub wizard and documentary photographer Alison Baskerville successfully designed an expressive day dedicated to women and non-binary people of the city, in a celebration of themselves and in awareness for their equality of which our world is still fighting for. 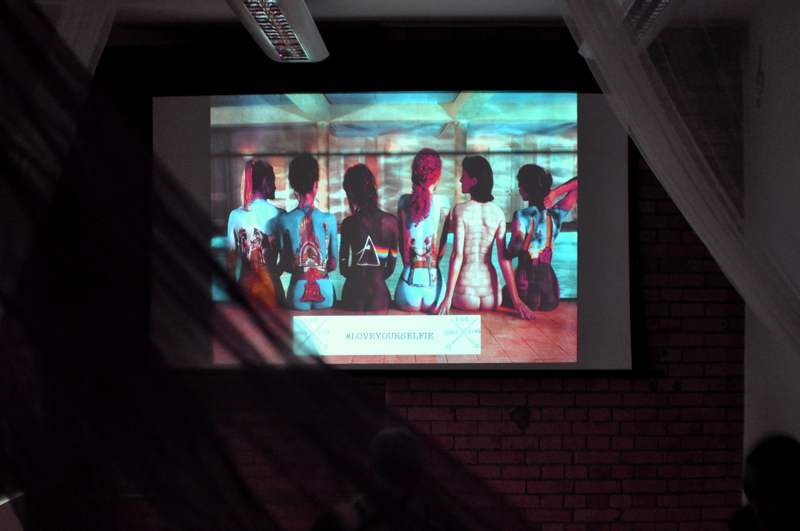 The programme included several sessions across four corners of the hub; BODY, LOVE, WORK, and ART. 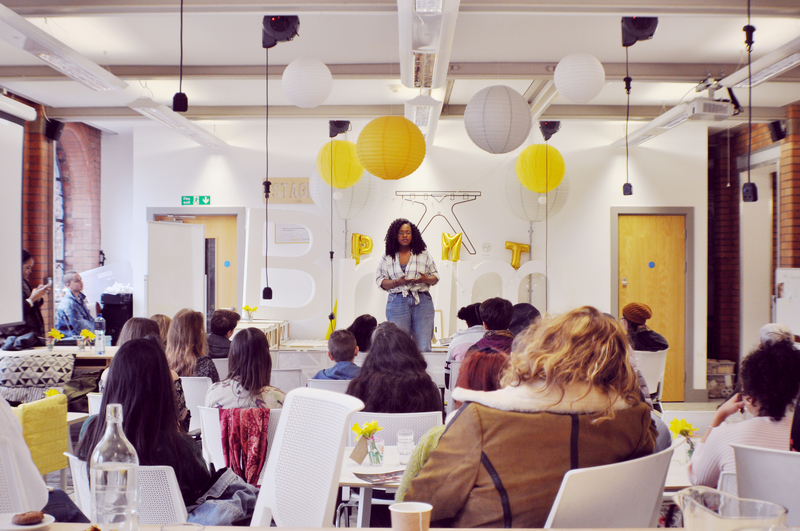 These sectors delved into eclectic activities that the public could both participate and enjoy with voluntary mentors like creative PR, DJ and events executive Mazzy Snape. They kindly guided us through performances of poetry and spoken word, acoustic music, meditation, self-defence lessons, micro-lectures, motivational speeches and more. In the heart of it, all lied a makers area where local creatives sold their intricately designed products that were well in-tune with the festival’s theme. 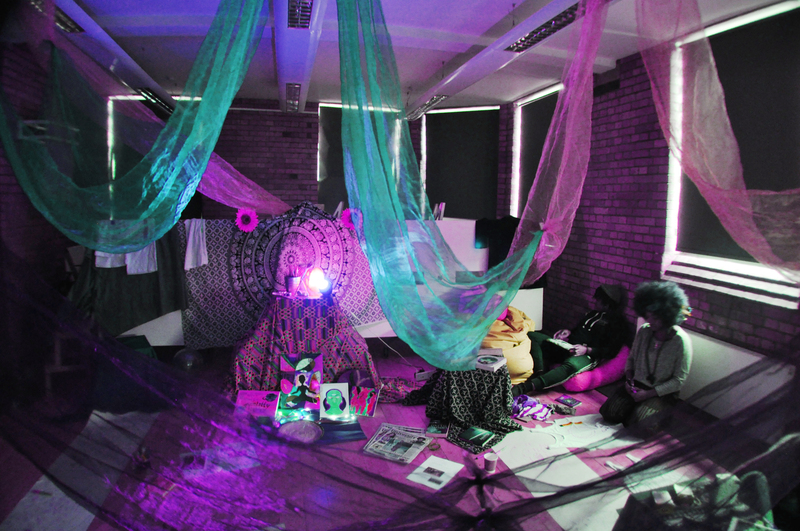 BABMAG arrived first to an open discussion taking place in the hubs Playspace called ‘Beyond the Binary’. Here, whether you were friend or stranger with your neighbour, topical conversation reverberated the walls, an almost group-confession of the ways in which society are guilty of categorising the norm into either gender. Female Vs. Male. Within 10 minutes, the air ascended and we were all riding the same wave, raising the same question. Why? Why are femininity and masculinity constantly and ruthlessly presented against each other? Why can you not be one if you are the other? Why? 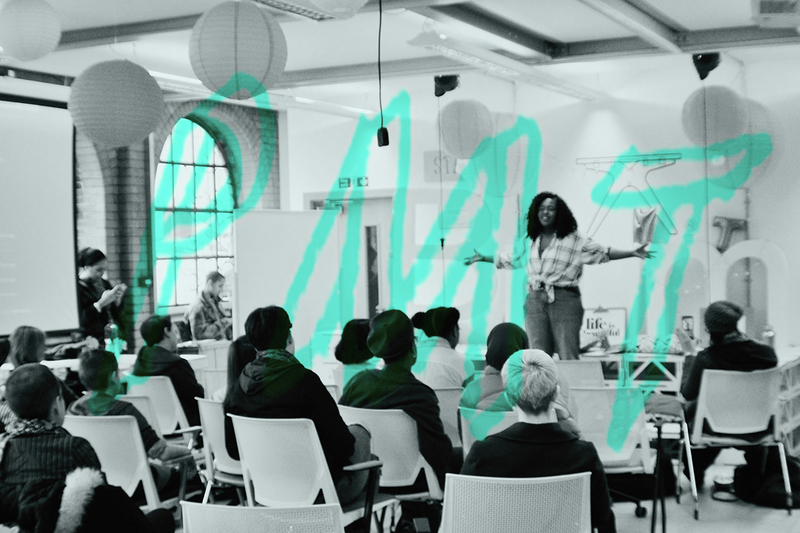 And even though PMT touched only a few shoulders of Digbeth, maybe one day, thanks to those similar to the organisers and members of IMPACT HUB across the globe we will live in a world that’s made invaluable, universal progress.